We’ve gotten some folks writing in (including our source) saying that we’ve misquoted Rika Muranaka, and Muranaka has gone on to make a follow-up clarification saying her words are her own opinion, and may or may not be indicative of the current situation at Konami. [Transcriber’s note: One of the interviewers began a question, but Muranaka continued.] Muranaka: He just wants to make – create. Whatever he feels like creating. 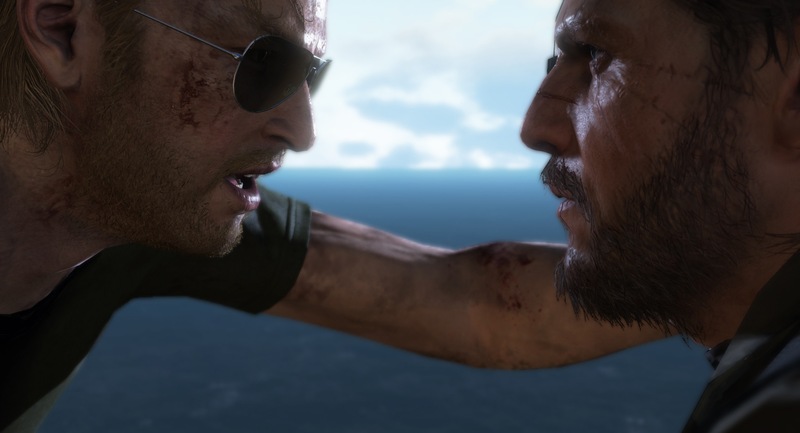 Hopefully we’ll find out the truth of the matter after Metal Gear Solid V: The Phantom Pain ships on September 1st. We’ve potentially learned the real cause of the ongoing fallout between Konami, Hideo Kojima, and his rumored to be now-disbanded Kojima Productions development studio. The news comes via series composer/music coordinator Rika Muranaka (Editor’s note: She worked on Metal Gear Solid 1-3), who did an interview with Fragged Nation. In the interview, Muranaka talked about the controversy surrounding Kojima and Konami. According to Muranaka, the main reason for the split between Konami and Kojima is Kojima’s remuneration coming in the form of a salary, as he does not receive anything from game sales or profits. She went on to say that with Kojima taking only taking a salary and focusing on the game instead, the project was over-budget and late. With those factors taken into account, Konami’s irritation came in with how the project was late. Kojima didn’t seem to care and he had many expenses such as upgrading the Fox Engine, where he used the argument that the engine wasn’t finished as an excuse to further delay the project. During this time Kojima continued to get a salary and like a traditional Japanese salaryman, he did not receive a share of the profits. Konami seemed dissatisfied with the arrangement. During this time Kojima was a creator and though his games were hits, he didn’t get bonuses. In her eyes, Hideo Kojima is a fantastic creator, perhaps one of the greatest of our time. However, he didn’t have the business sense that Konami hoped for. An example was given where many would try to lower foliage resolution below what Kojima wanted, as much as possible, to finish up the work’s appearance properly. She also went on to say that she’d get requests to make 30 or 40 songs, and at the end the majority weren’t used. Kojima would ask her to make one more, or another, or another. He’d pick ones that he liked, or things the fans wanted to see, or things the fans wanted to hear. And so with that precise understanding, the music was prepared by Muranaka. When it comes to music, she has directly worked with Kojima and has insight into the internal affairs of the company. In her opinion, the music in Metal Gear Solid V has suffered due to them not being able to afford her. They removed her from the equation and went to where the composers were, and hired them directly. Metal Gear Solid V: The Phantom Pain is launching across PlayStation 3, Playstation 4, Xbox 360 and Xbox One on September 1st. A Windows version is coming later, on September 15th. Editor’s Note: Claude Smith contributed to this story via translations and by providing additional sources.